Ms Hilliard is one of 8 new teachers to Chickering School this year. She is a 4th grade teacher. Please sit back, relax and enjoy our chat with Ms Hilliard. Jump into the World of the Amazing Suzy Kline! 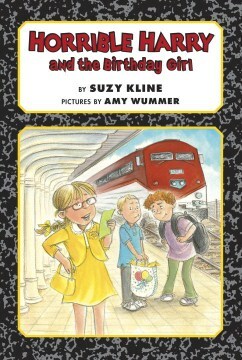 Suzy Kline, the author of the Horrible Harry series recently visited the Chickering School. We caught up with her and had a chat. Sit back, relax, and enjoy our conversation with Suzy Kline. Ms Bernard is one of our 8 new teachers. She is our 5th grade teacher this year. Please sit back and enjoy our conversation with Ms Bernard!